This daily column covers Heath IT adoption, professional development, and clinical decisions for the health care professional. You will find updates and resources on CMS and ONC programs that aim to increase the use of EHRs and engage patients in their health care. You will read industry thought leaders on careers and trends in the health IT industry along with next stages of developing your career. This news and educational column focuses on HIPAA, security, and privacy. Each week resident industry veteran Mike Semel will offer readers his thoughts, insights and business know-how on dealing with data security in the ever changing environment of health IT. Learn about the information technology sector devoted exclusively to healthcare. Health Information Technology includes the design, development, use, and support of information systems for the health care industry. It is also referred to as Health IT or HIT. Health IT adoption begins with the foundation of terminology. Learn what these are. Eligible professionals and hospitals seeking to qualify for incentive payments are required by statue to use Certified EHR. HIE is the electronic movement of health-related information among organizations according to nationally recognized standards. The Health Insurance Portability and Accountability Act (HIPAA) of 1996 mandates that health care providers take significant measures to safeguard protected health information, or PHI. An introduction to the mobile health industry. Try these HIT and EHR project tools and calculators for estimating and determining project numbers. 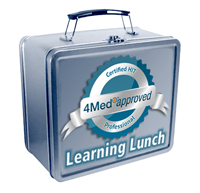 4Med Professional HIT Training and Certification - 4Medapproved developed comprehensive education for individuals, groups and vendors. The training and education program combines self-paced online lessons, multimedia content, certification exams and hands-on practical experience with access to a real-world certified EMR solution. Continuing Education Credits (CEU) and college credit available. HIT Security Column - Read the lastest news and updates on HIPAA and security. The HITECH Act has spurred the increase in healthcare providers purchasing and implementing electronic health record systems through Federal incentive programs. Learn about the CMS EHR Incentive Programs and achieving Meaningful Use of certified EHR technology. EHR Adoption is not a simple process but it is a necessity to any practice moving forward. See the benefit of EHR adoption. EHR vendors are not all the same and it is important for healthcare professionals considering implementation of certified EHR technology select the best vendor for their needs. When implementing an EHR, it's important to remember that there are many technologies required to support the EMR system as a whole. Information about purchasing medical devices with EHR interface options. There are a number of free EMR software systems on the market today. You may be wondering what makes products like these free. 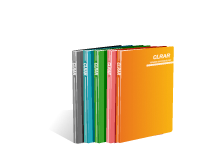 Customizing an electronic health record system is done primarily through the use of templates. Mental Health professionals require a more “note-driven” formula for medical record creation. There are a number of steps to ensure new EHR technology is implemented in as smooth and efficient a way as possible. In 2009, the American Recovery and Reinvestment Act (ARRA) became law. Included in this law was the Health Information Technology for Economic and Clinical Health (HITECH) Act. To get the most from a certified EHR, whether providers are looking to collect incentive payments, optimize workflow or maximize their profit, there are four important priorities that a practice should strive to hit as outlined by the HITECH Act. Find out if you are eligible for either the Meaningful Use Stage 1 Medicare or Medicaid EHR Incentive Programs. 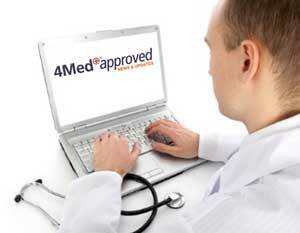 Stage 2 of the CMS EHR Incentive Programs begins in 2014 for those who have completed 2 years of Stage 1. Find out the changes for this stage along with resources and tools to help you meet Meaningful Use. Learn about financing your EHR project. What are your options? Can I take tax deductions? Should I purchase or lease? With the adoption of the Affordable Care Act, the National Quality Strategy has three aims. Better care, healthy people and communities, and affordable care. Learn about how health IT is supporting these goals. The study or academic field of Informatics takes the application of information technology (IT) to other fields and takes in the impact of the surrounding community. It is the science of information. The Centers for Medicare & Medicaid (CMS) defines Clinical quality measures as tools that help us measure and track the quality of healthcare services provided by eligible professionals (EPs), eligible hospitals (Ehs) and critical access hospitals (CAHs) within our health care system. As healthcare facilities continue to move from paper to digital solutions, there is an ever- increasing need for seamless integration between EHRs and imaging centers, radiology departments, and laboratories. E-Prescribing is the generation and filling of a prescription transmitted electronically to a pharmacy. HIT Decisions Column– Read the lastest news and updates on health IT impacting clinical information. The Bureau of Labor Statistics predicts a 21% increase in the employment of medical records and health information technologists between 2010 and 2020. A 38% increase in workforce is needed to achieve sufficient levels of HIT professionals. Discover the world of HIT education along with jobs and careers. The field of Health Information Technology (HIT) is always changing and requires on-going education and training. And it is the fasting growing IT sector. 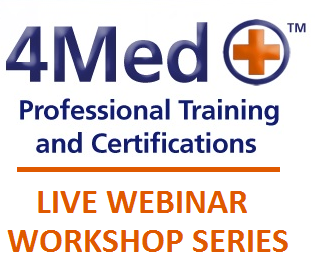 Industry sponsored free webinars focusing on adoption of health information technology (HIT). The hour long event presents current topics by subject matter experts and hosted and moderated by 4Medapproved with time for Q&A from participants. The Office of the National Coordinator for Health Information Technology (ONC) awarded $116 million in funding for Health IT Workforce Development Program. Experts discuss evaluating and hiring health IT professionals for health care organizations. Is it necessary for medical practices to hire a CIO? Find recruiters, job boards for career development and transitions. HIT Decisions Column - Read the latest news and updates on clinical decisions and informatics. HIT Careers Column - Read the latest news and updates on health IT careers and opportunities.